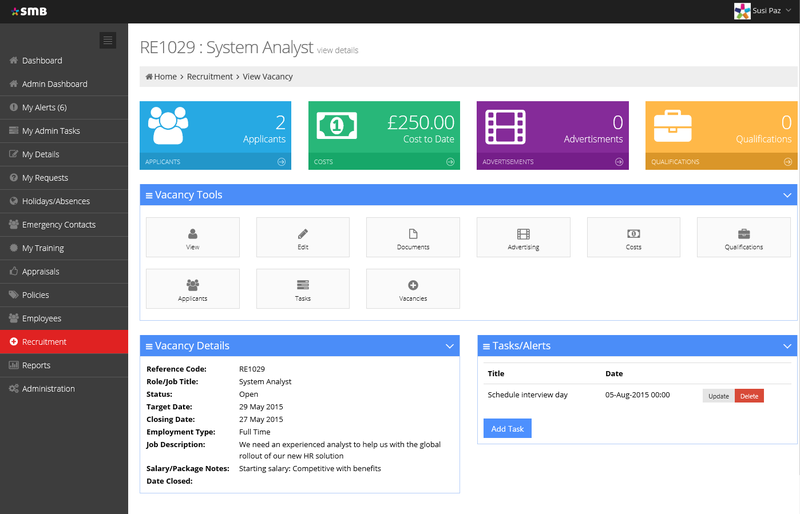 Functionality designed to smooth key elements of HR including absence, employee information, notifications and alerts and managing the recruitment process. SMB puts HR all in one place accessible 24/7 and from wherever it is most convenient. Store employee data securely and access it from the easy-to-navigate dashboard whenever you need to. Set permissions to control access to sensitive data and draw up meaningful reports with just a few clicks. 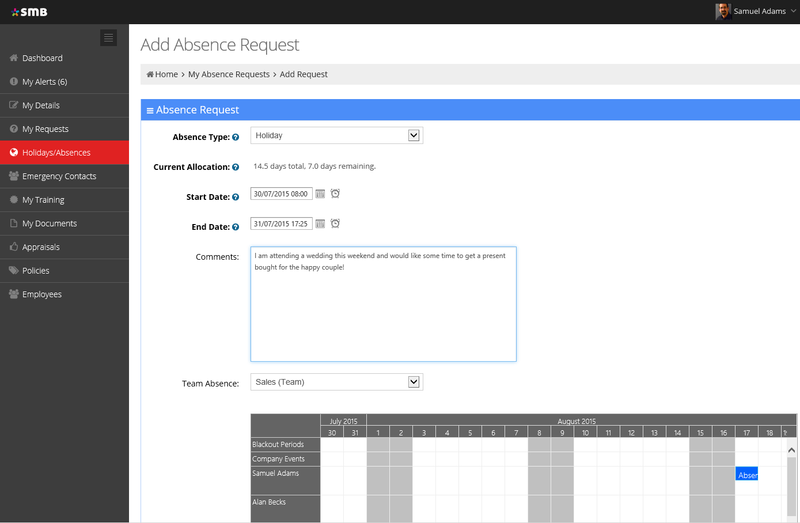 Who knows, with absence management simplified and your administrative headache relieved, you may even be able to find a cure for sick days! 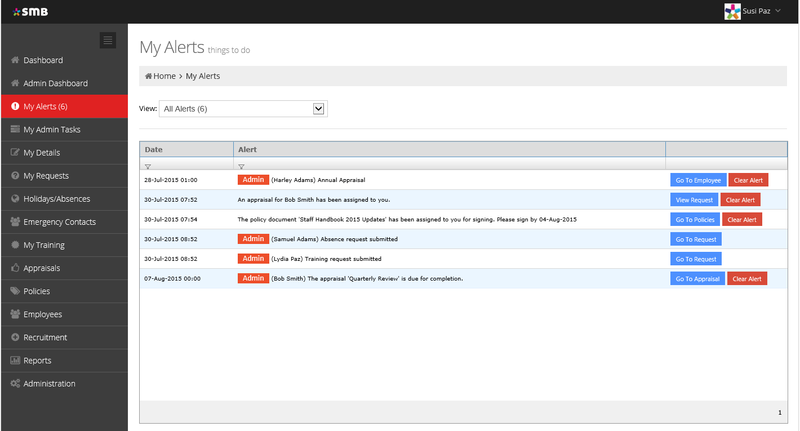 SMB’s daily notifications and alerts help you to stay in complete control of the HR function. Daily notifications mean you can actively plan how best to integrate HR activities within your plan for the day. Real-time alerts allow you to be immediately responsive when the situation demands. Think of SMB as your very own intelligent and proactive HR assistant, that’s always there to remind you of scheduled activity and giving you a nudge whenever there’s a task to complete. SMB helps eliminate little HR oversights like these which may trigger awkward conversations or leave negative impressions. 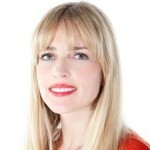 HR is an end-to-end process that starts with recruitment. 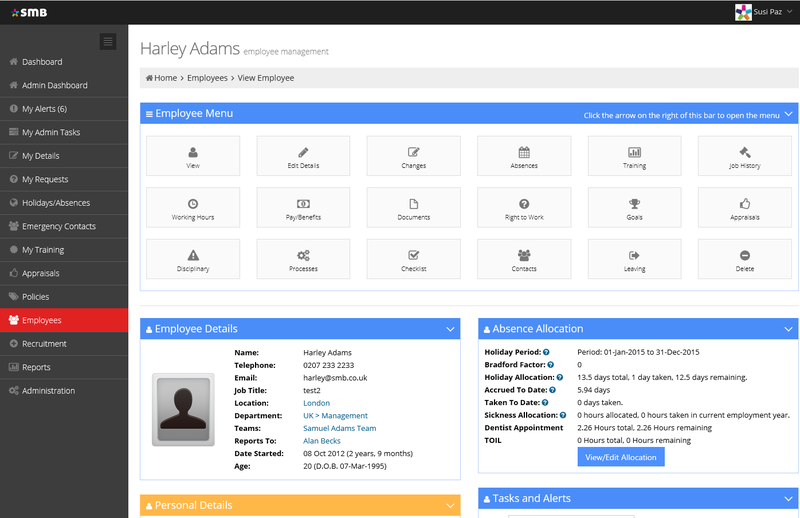 SMB lets you manage employees from start to finish date with accuracy and competence. We used three other leading HR solutions before SMB, all of which created more work than they saved… The change-over to SMB was smooth, and clarity and simplicity have replaced chaos… I can relax knowing that our employee information is secure, logically organised and compliant.